Elwyn graduated from Cornell University and began his career as a farm management agent. He holds a Masters from Cornell in Business Management with emphasis in Estate Planning. Early in his career he was named New York State Outstanding County Agent. 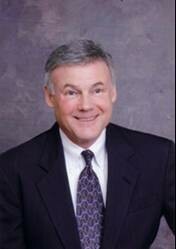 Establishing Elwyn G. Voss and Associates (now known as ‘The Voss Group) in 1977, he joined New England Financial. He served five years on New England’s Executive Committee, and was president in 1988-1989, representing a 3,000-member national field force and continues today as a member of their Product Committee. In 1992 he was elected Chairman of the College of Agriculture Planned Giving Committee at Cornell and served for ten years in that capacity. He also served as a member of New York State 4-H Foundation, the Chenango Memorial Hospital Foundation, and Chair of the Pathfinder Village Foundation Finance Committee. Elwyn is the recipient of New England’s President’s Award, Cornell College of Agriculture and Life Science’s Outstanding Alumni Award, and the Ted Phillip’s Outstanding Citizenship Award presented by New England Financial for service to education and community. He has received the Syracuse Agency Most Valuable Agent Award 23 times. Qualified for MetLife’s top producer forum every year since the beginning of his career and been a member of their most elite group of producer’s, The Chairman’s Council for the past 3 years. In 2010, Elwyn was inducted as one of only 14 producer’s into New England’s Hall of Fame. Elwyn is a life member of the Million Dollar Round Table, Chartered Life Underwriter, Chartered Financial Consultant, a licensed Life Agent and Registered Representative. Currently Elwyn’s practice, The Voss Group, consists of 5 financial professionals and 3 staff members. The combined team has expertise in personal wealth management and employee benefits with special emphasis on executives which are enhanced by strategic alliance with Novity Wealth Solutions, formally Benefit Concepts. Elwyn operates out of offices in Buffalo, Rochester, Syracuse, and Norwich, NY. He is married to his wife Jennifer and together their blended family consists of 8 children.